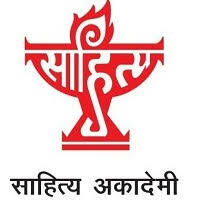 Sahitya Akademi Recruitment Notification 2018.Sahitya Akademi inviting applications for the positions of Technical Assistant, Assistant Editor, Deputy Secretary.Interested and Eligible candidates can apply for the positions. 2. Diploma in Book Publishing. 5. Good knowledge Ofoneor more languages and literature with ability to edit literary material. 6. Basic knowledge of computer application. 1. A Post Graduate degree from a recognised University in a language/literature recognised by the Akademi. 2. Good Knowledge of Hindi/English and one or more Indian languages ofthe region concerned. 3. Five years experience in editing literary and scholarly manuscripts and overseeing them through the various stages of production. 4. Basic knowledge of computer application. 2. Research experience and published work. 3. General knowledge of Indian literature. 1. Essential: Post Graduate degree from a recognised University orequivalent professional qualification. Diploma in Sales Management. General knowledge of Indian literature and contacts with the book sellers, distributors and book selling agencies. Sound knowledge of at least one Indian language and good knowledge of English. Five years experience in sales management in a reputed Publishing House and knowledge of the latest methods of sales promotion. Basic knowledge of computer application. 2. Desirable: 1. Experience in organising Book Exhibitions. 2. Good contact with the literary community. 1. The candidates registered under National Career Services. (NCS) portal and fulfilling the eligibility conditions may visit Akademi website and follow the application procedure as stated. Applications received through email and without self attested copies will not be accepted. 2. The application alongwith self attested copies of qualifications/ experience etc. in the prescribed format as given on the website duly superscribed on the envelope "Name of the post applied for" addressed to Secretary, Sahitya Akademi, Rabindra Bhavan, 35, Ferozeshah Road, New Delhi- 110001 should reach this office within 30 days from the date of publication of this advertisement.